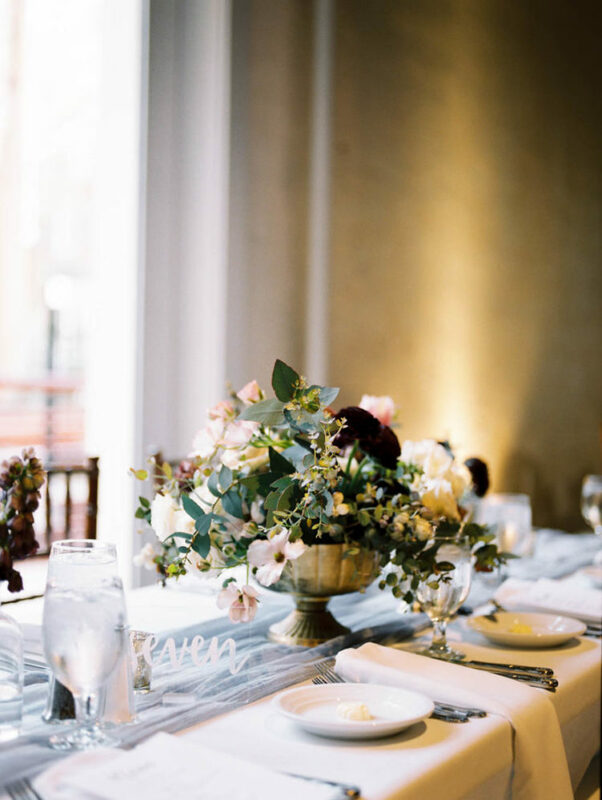 This intimate wedding was one of the most thoughtful weddings of 2018. 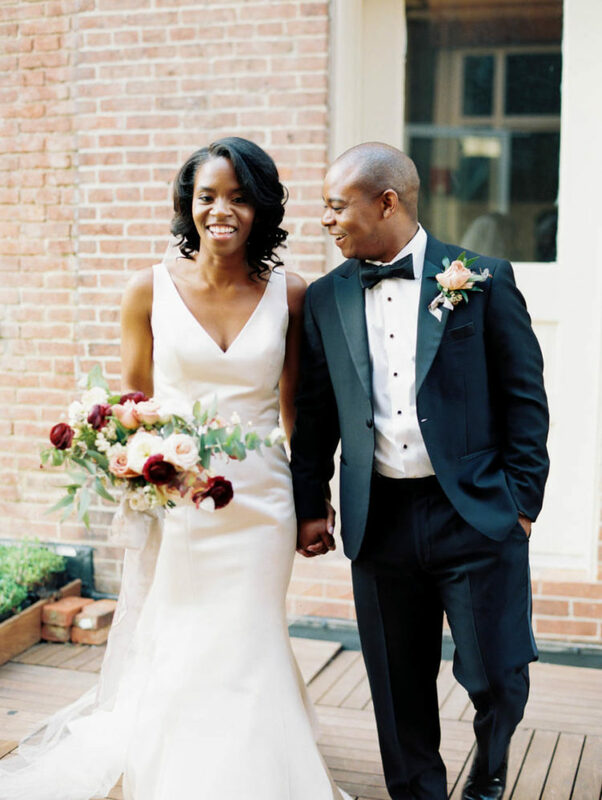 You can truly feel the magic between these two, from the moment Tony looks at his beautiful bride to the fun-filled dance party the moment the reception began. Let’s dive into this beauty! 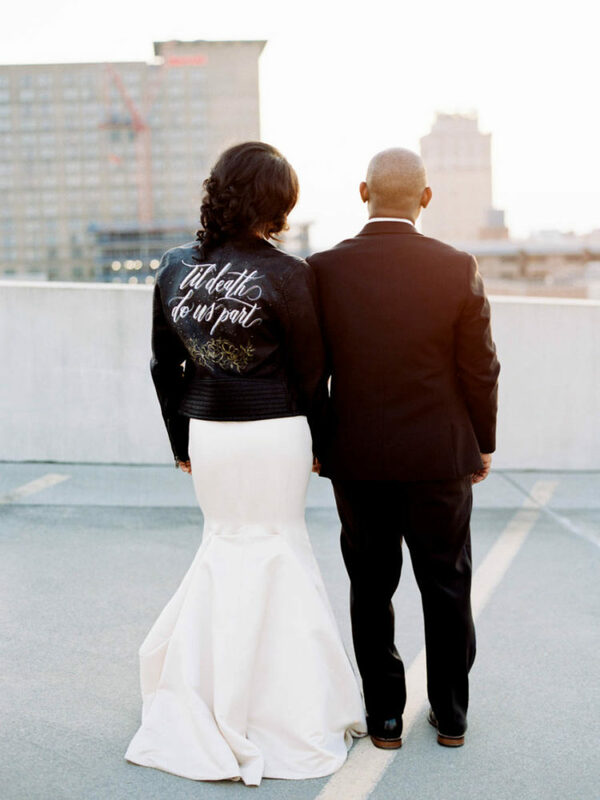 The couple, Renee and Alexius, found a dream wedding venue, The Excelsior, for their gorgeous wedding day. 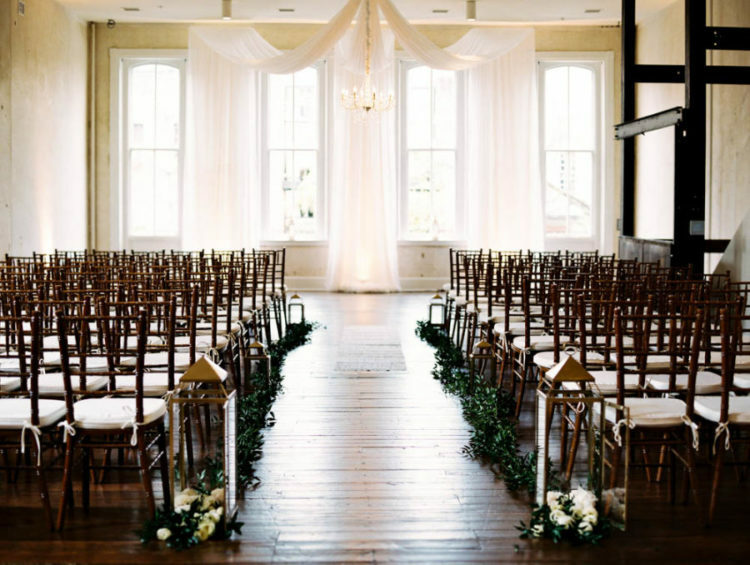 Alexius planned this entire wedding by herself with no wedding planning experience. 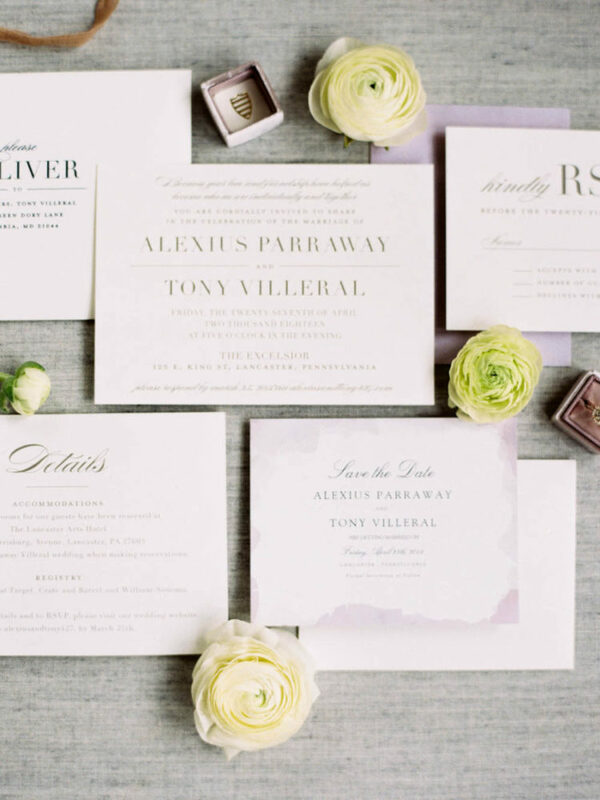 From her venue to her luscious florals, the small details to her gorgeous invites, her impeccable dress to her edgy leather jacket, delicious specialty cocktails to a surprise ice cream truck for her groom. If there was a detail to be thought of, the bride, Alexius thought of it. 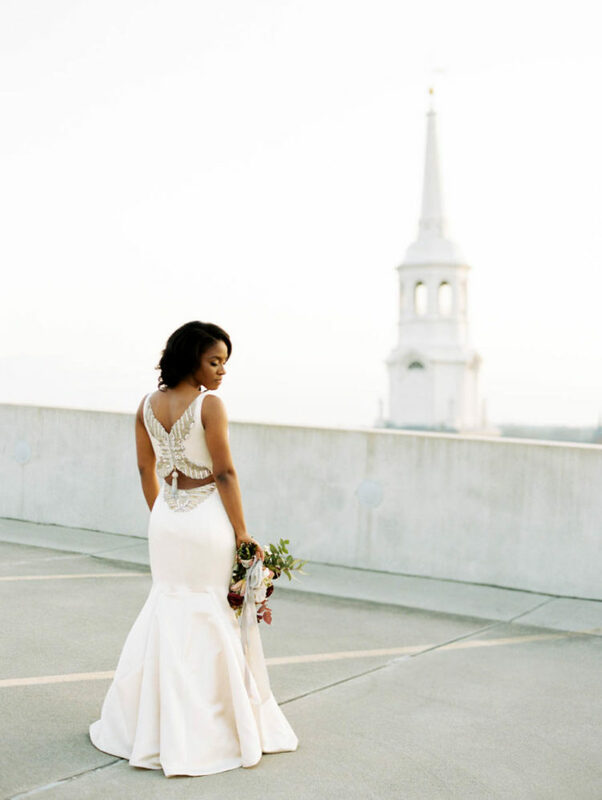 She was wearing a breathtaking wedding dress, a neutral fitting one of plain fabric but with a gorgeous cutout and embellished back that caught an eye. 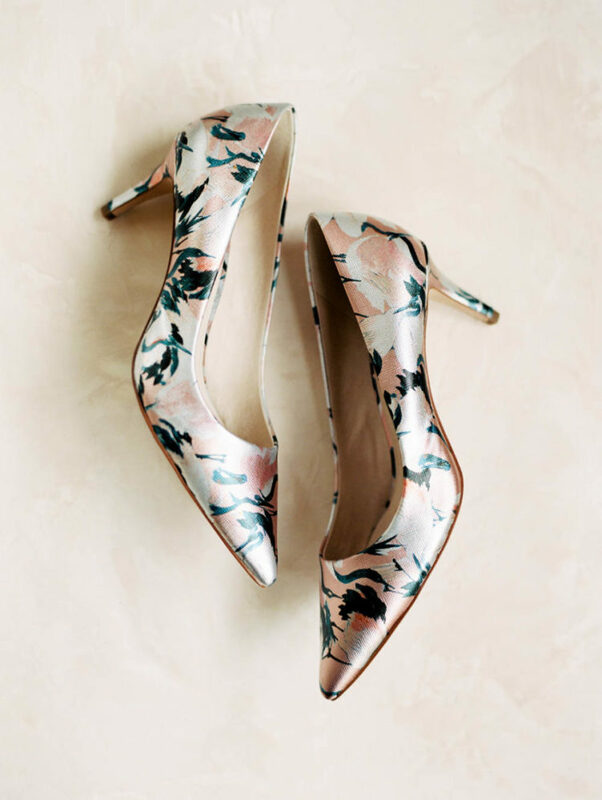 She added floral shoes and covered up with a hand-painted leather jacket. The groom was rocking a classic black tux. 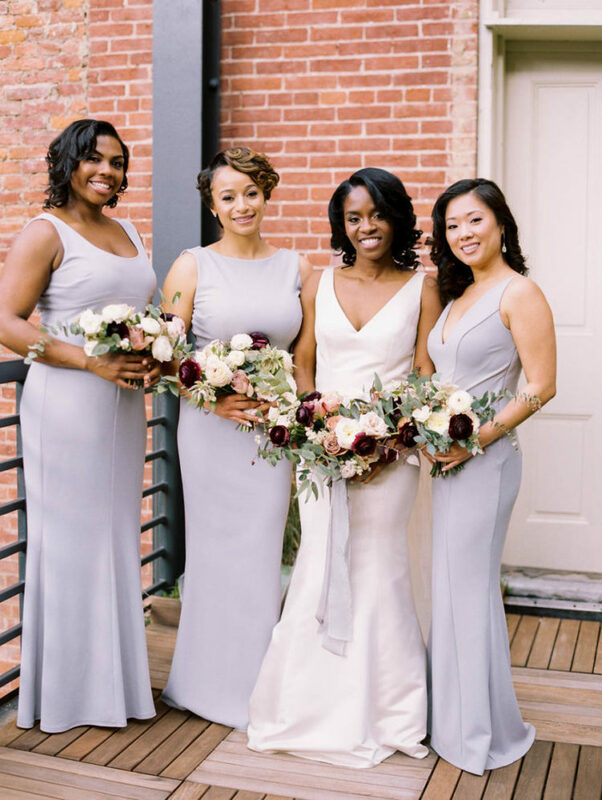 The bridesmaids were wearing off-white plain maxi gowns. 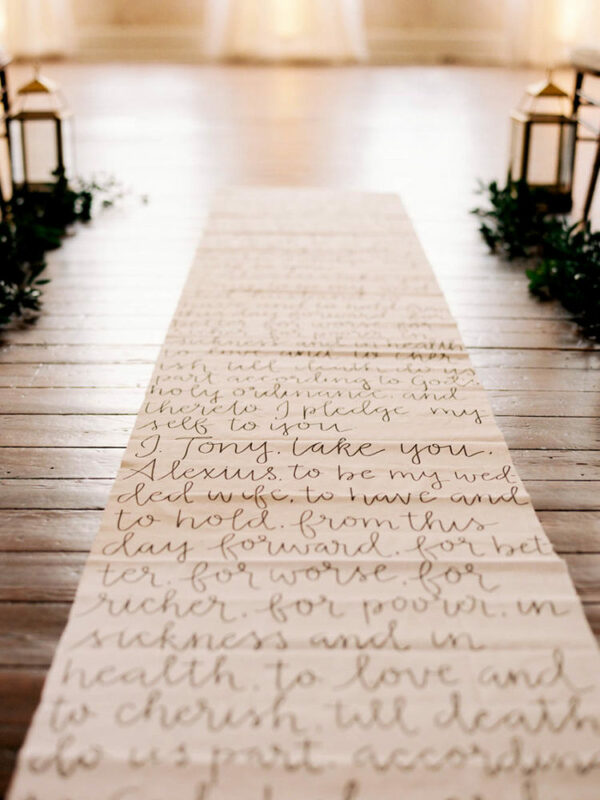 The wedding ceremony space was light-filled, decorated with greenery and candles and the backdrop was of fabric, there was a hand written runner with words of love. 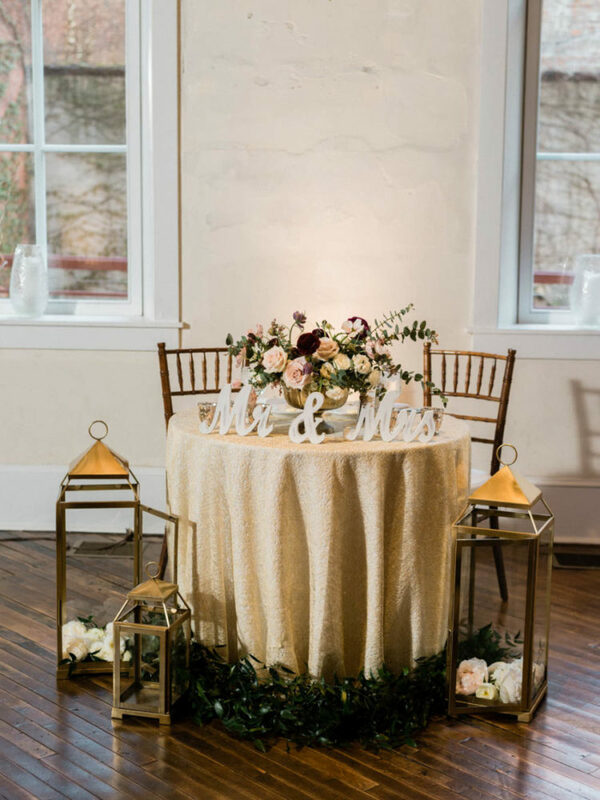 The wedding reception tables were artful, done with airy fabric runners and nonchalant yet very chic lush florals. 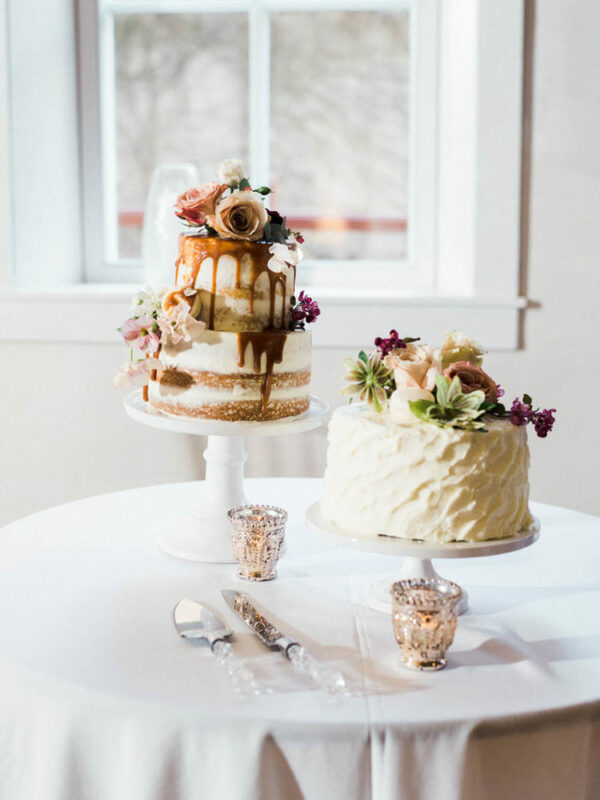 The wedding cake was a naked one with dripping and fresh blooms on top, all trendy and delicious. The second wedding cake was a textural buttercream one, also topped with blooms.